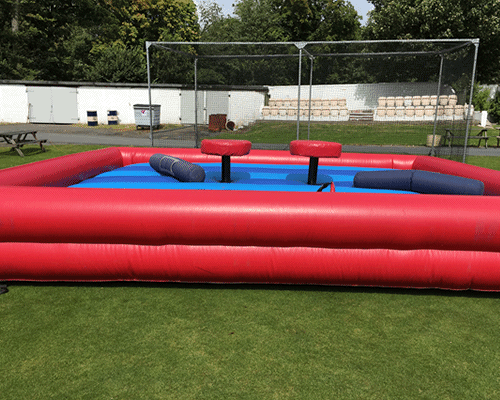 The Gladiator arena is the ultimate spectator piece, two contestants with foam battons make it onto the podiums for a best of three knockout with loads of laughs! 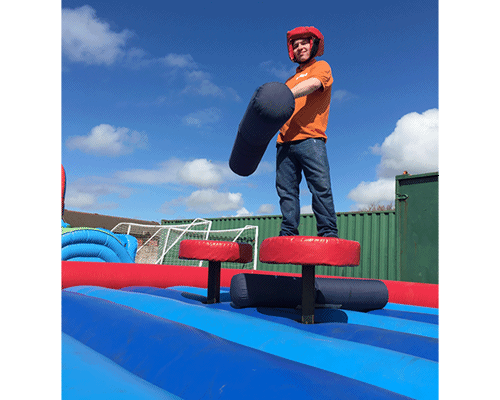 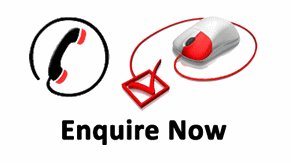 4ft or 1.21m "the height of the user will be on top of this. 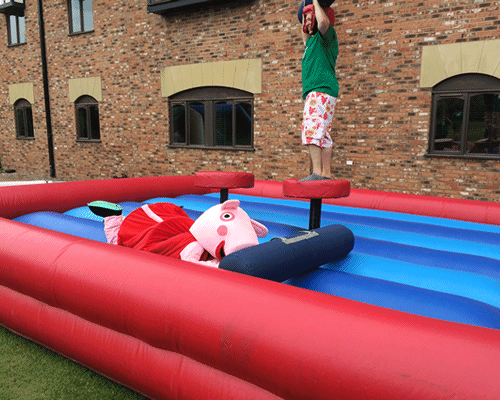 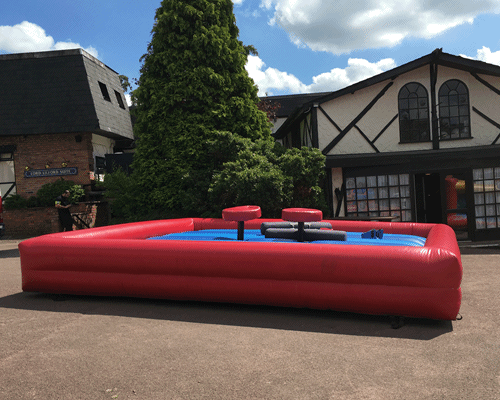 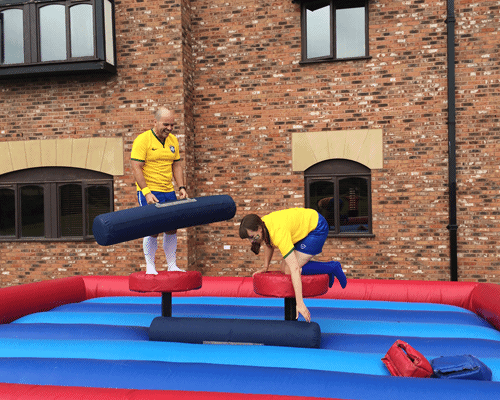 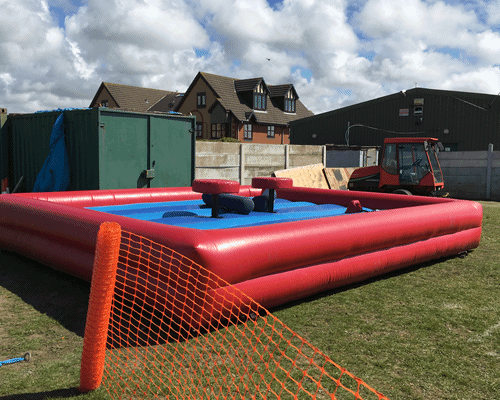 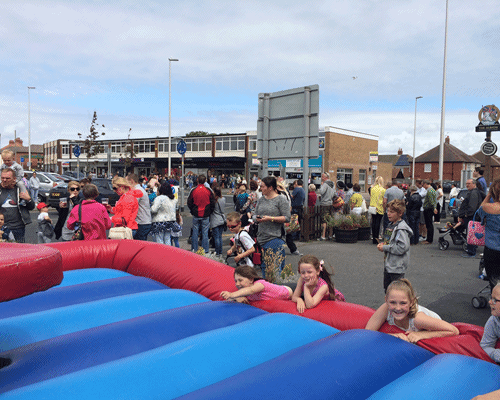 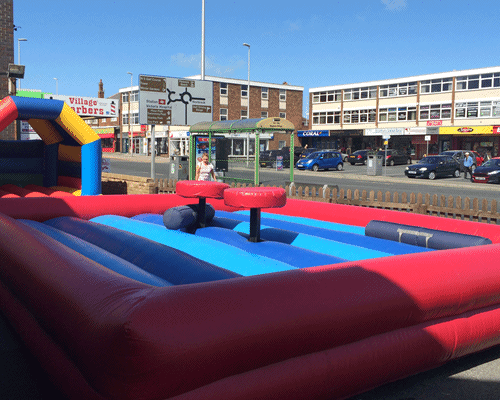 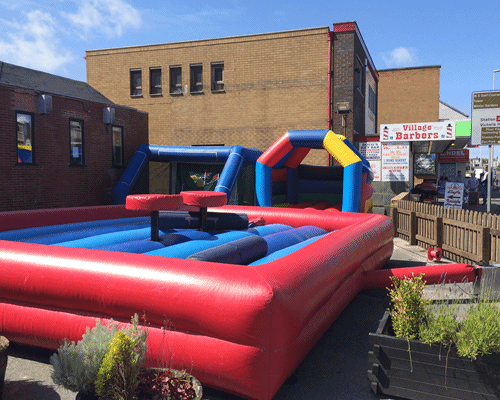 We cant thank you enough for the fantastic service and equipment it made the summer fete especially the gladiators, we got the micky and minnie costume characters up there for a few rounds everyone was laughing themselves to tears will be sure to book again next year.